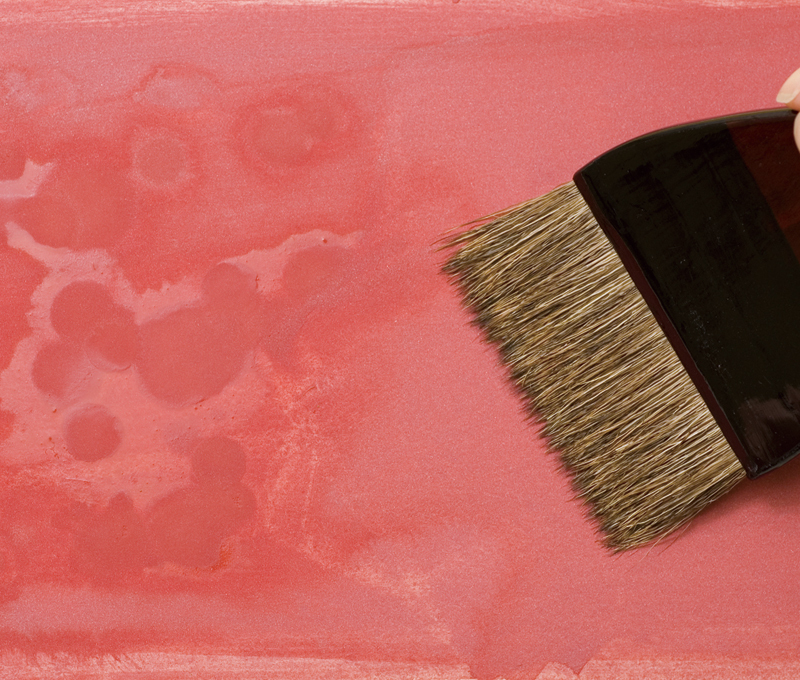 Karabake is a brush which is always used dry to blur the paint in Japanese paintings. The width varies in the range of 1 sun (approx. 3cm) to 5 sun (approx. 15cm) and the bristles are made of the coarse, strong deer hair. The handle is finished entirely in lacquer. Because the tip is kept free of moisture from water and paint, it can be used to spread the paint particles evenly without making them collect disproportionately. It is thus suitable for creating a blurred effect over a wide area and eliminating inconsistencies. Because it is used on a wet surface, it will absorb moisture if used repeatedly. If the tip becomes wet, the moisture should be removed with a towel to keep the brush dry as much as possible. 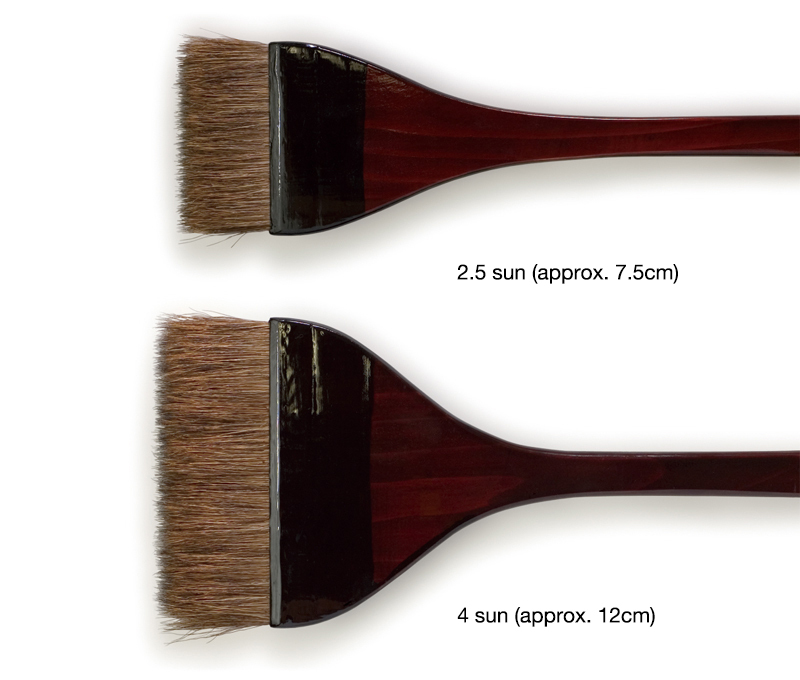 Various types of brushes are used in Japanese paintings depending on their use. Besides the karabake, there is also the painting brush (ebake), dosa sizing brush and wetting brush (mizubake). These must always be used only for their respective purpose because once used, they will each have different substances and paint residue on them. After use, wash the brush thoroughly in cold or lukewarm water, drain excess moisture, and hang to dry in a well-ventilated location not exposed to direct sunlight. Karabake can be purchased at art supply stores that handle Japanese art supplies.